Via another one of the Pic of the Day sites I visit regularly, this one is from NASA’s Earth Observatory Picture of the Day. 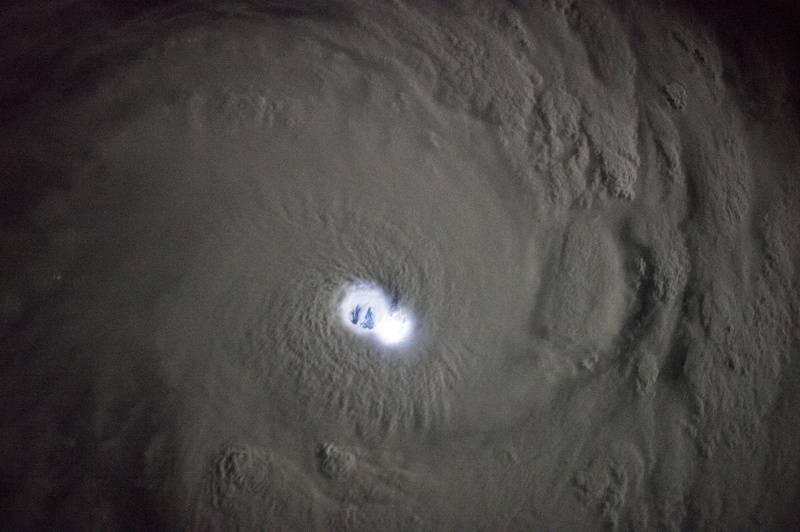 Though these images may look like they come from a science fiction movie, they are in fact photographs of tropical cyclone Bansi as seen at night by astronauts on the International Space Station (ISS). The images were taken when the ISS was east of Madagascar. Bansi formed in the southwestern Indian Ocean on January 11, 2015. By the time this photo was taken on the following day, Bansi had achieved tropical cyclone strength, with sustained maximum winds over 185 kilometers (115 miles) per hour. The cyclone would reach category 4 strength before becoming a weak extra-tropical system on January 19. 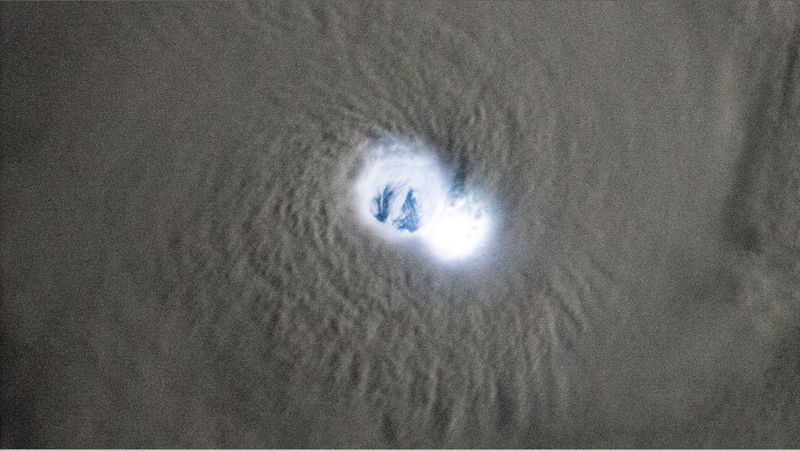 The dim swirl of the cloud bands covers the ocean surface in both night images. 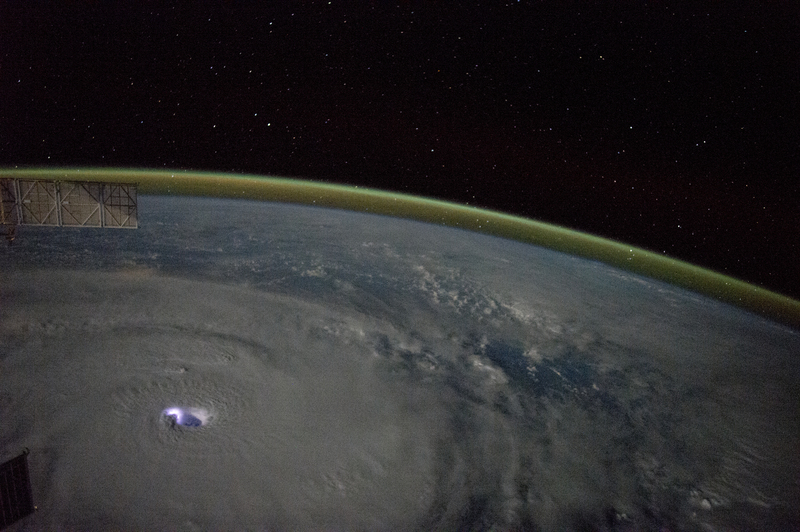 The eye of the cyclone is brilliantly lit by lightning in or near the eye wall. The low-light settings of the camera used to take the image accentuate the contrast. In the top image, the camera also accentuates the yellow-green airglowabove the Earth’s limb, an atmospheric phenomenon frequently seen by astronauts. Stars appear above the airglow layer, and the solar panels of a docked Russian spacecraft jut into the image (upper left).